DORIT LIEBERS & ANDREAS J HELBIG (1999), Phenotypic characterization, taxonomic rank	and phylogenetic relationships of Armenian Gull Larus armenicus. Limicola 13-6, 1999 (in German, with English summary). 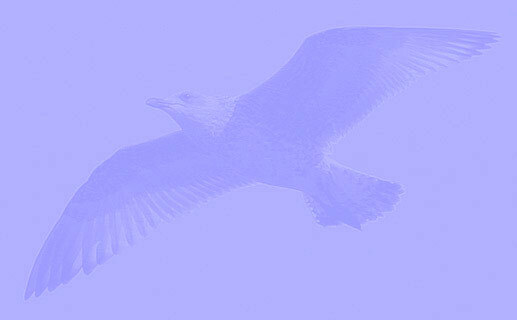 S. A. BUTURLIN (1934) Larus taimyrensis armenicus, subsp. nov. Short notes  Ibis ser. 13 (4): 171-172. FILCHAGOV, A.V. (1993): The Armenian Gull in Armenia. British Birds 86: 550-560. Update by United Nations Environment Programme, 11 May 2009. National government institutions involved in migratory waterbirds and wetlands research/management in Armenia. Main non-government organizations and academic institutions involved in migratory waterbirds and wetlands research/management. Vasil Ananian about current situation. Initiatives of the Acopian Center for the Environment. "Experience and Lessons Learned Brief concerning Lake Sevan". A report about geology, hydrology and biology of Lake Sevan. ARMENIA - Political Administrative Region (marz): Gegharkunik (region of Lake Sevan) - environmental concerns. Nshan Margarian, Mamikon Ghasabyan, and Luba Balyan (2005), Changes in the Diversity of Waterbird Species in Select Important Bird Areas in Armenia. DEREK A. SCOTT (2007), A Note on Large White-headed Gulls in Iran , Podoces 2(2): 143–145 - Short Communication from the Middle East Birdnet. Iran - Lake Orumiyeh environmental problems (1). Iran - Lake Orumiyeh (2), data from BirdLife. Initiatives by Save Lake Urmia Campaign. LAKE URMIA ECOLOGY AND HYDROLOGY. Larus armenicus 1cy December 15 2010, Maagan Michael, Israel. Picture: Amir Ben Dov. Larus armenicus 2cy December 15 2010, Maagan Michael, Israel. Picture: Amir Ben Dov. Larus armenicus 3cy July 09 2010 Maagan Michael, Israel. Picture: Amir Ben Dov. Larus armenicus 3cy & 4cy July 22 2011 Maagan Michael, Israel. Picture: Amir Ben Dov. Larus armenicus adult December 06 2010, Maagan Michael, Israel. Picture: Amir Ben Dov. Courtship ceremony.